Bad Wolves (ex-Divine Heresy, Devildriver, God Forbid, Bury Your Dead, In This Moment) has debuted their new cover of The Cranberries hit song, "Zombie." 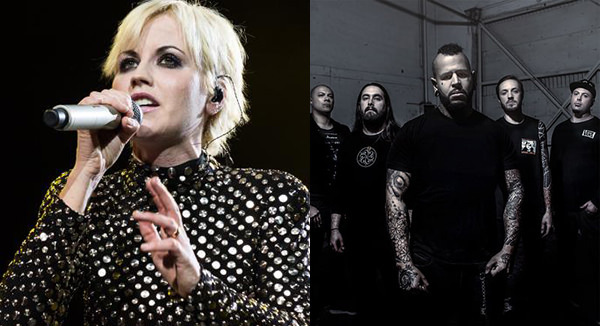 The track was to feature guest vocals from Cranberries vocalist Dolores O'Riordan, who passed away on January 15, just hours before she was to record her vocals for the song. Dan Waite, a friend of O'Riordan's who works at the Bad Wolves' label, sent [the cover] to her to get her take on it. "Dan sent me a message like, 'She loved it, and she wants to sing on it,'" Bad Wolves frontman Tommy Vext told Rolling Stone. "It made my year just to have that kind of validation." All proceeds from the track will benefit O'Riordan's three children.